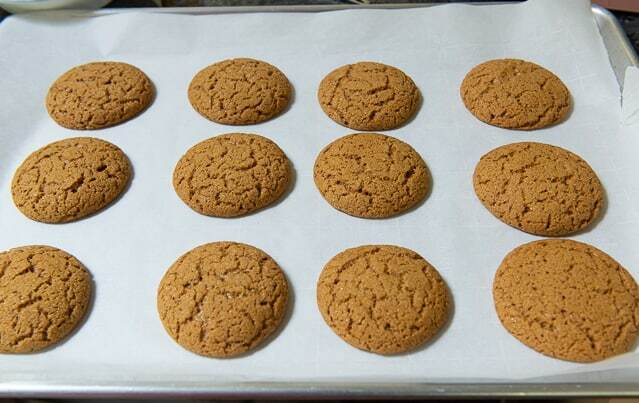 Molasses Cookies - Great Old Fashioned Flavor and a Chewy Bite! 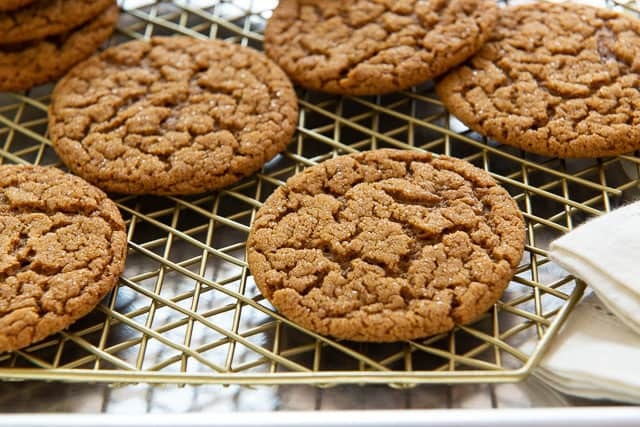 These Molasses Cookies have the perfect old fashioned flavor and chewy bite, and are great for cookie exchanges and holiday parties! 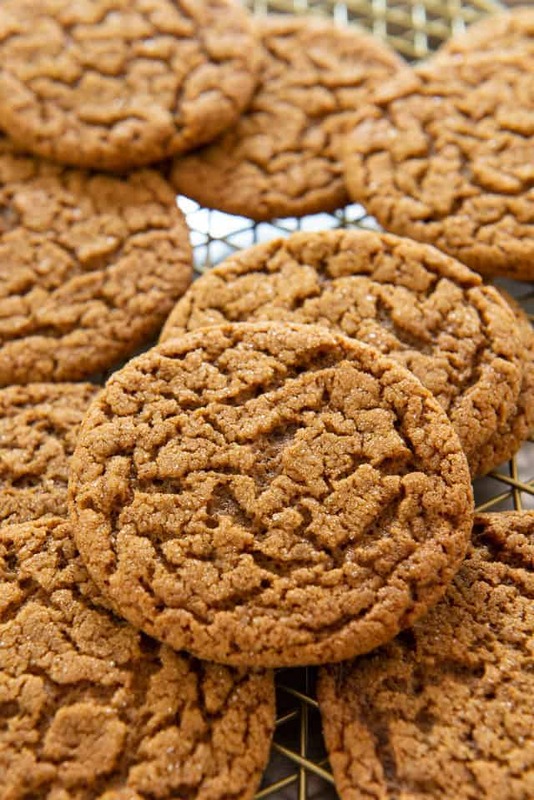 While Molasses Cookies will never have the popularity of Snickerdoodles or Shortbread Cookies, I think they are easily one of the best. The flavor and texture are both just too incredible. They’re crisp on the edges but very chewy in the middle, and the flavor is so spicy and bold. With ginger, allspices, and cloves supporting the dark, rich flavor of molasses, the cookies simply taste AND smell like the holidays. 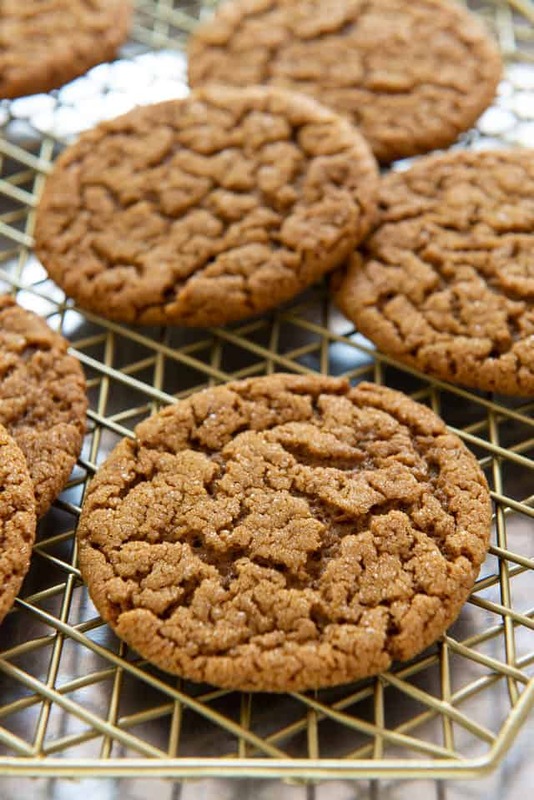 You’ll notice that these have a flatter, more crinkled texture than most molasses cookies. I specifically use only egg white and proportioned the ingredients so they have this really flat, ultra chewy texture. As in, they’re not one bit cakey or fluffy, which is how I like it. 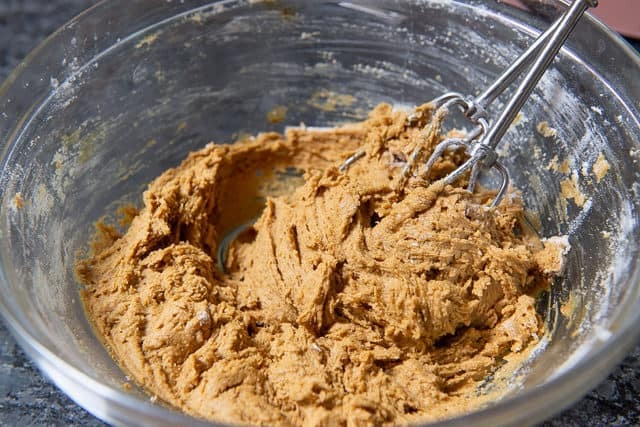 Can Molasses Cookies be Frozen? These cookies freeze nicely after being baked, so you could easily make a few batches ahead of time for cookie exchanges or for holiday parties. Whisk well, then set aside. I have used both classic unsulphered molasses (like Grandma’s brand) and more artisanal blackstrap molasses, and both yield good results. The choice is yours! Now, you can either bake these right away, or you can chill them. Baking them right away is great if you want a really flat and chewy texture to the cookie, and also if you’re impatient and WANT COOKIE NOW lol. Chilling the dough to firm up the butter is a better option if you want a less flat cookie, as it will spread less during baking. It will also be easier to work with. Bake the cookies for about 13-15 minutes, depending on how “done” you like the cookies. I pull them when they’re still glistening a bit in the center. Chocolate Candy Cane Cookies, Monster Cookies, and Snowball Cookies are a few of my other favorite recipes to bake. And Cut Out Cookies if you want to decorate. Enjoy! 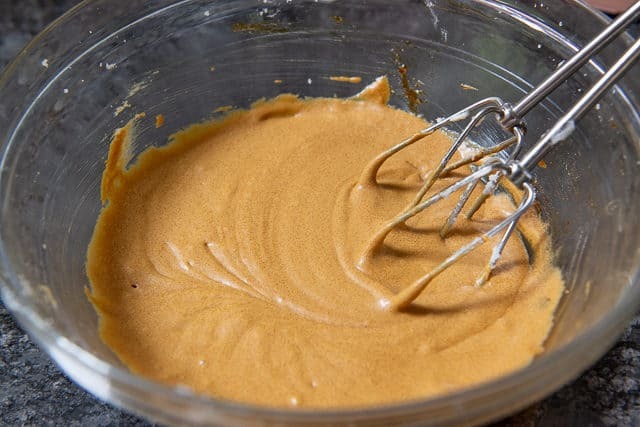 Whisk to combine the flour, baking soda, salt, ginger, allspice, and cloves. 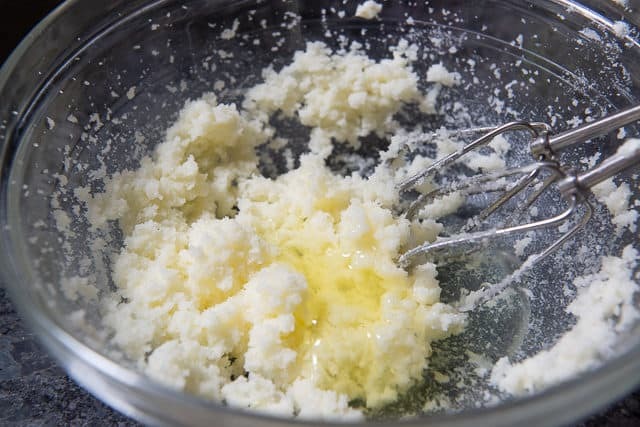 In another bowl, cream together the butter and sugar until fluffy and light. 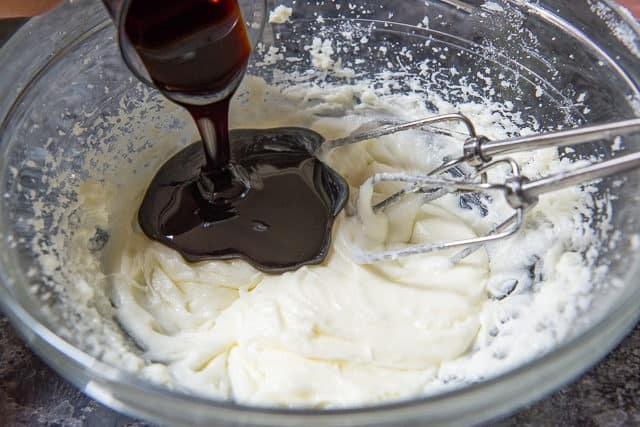 Add the egg white and whip until smooth, then mix in the molasses. 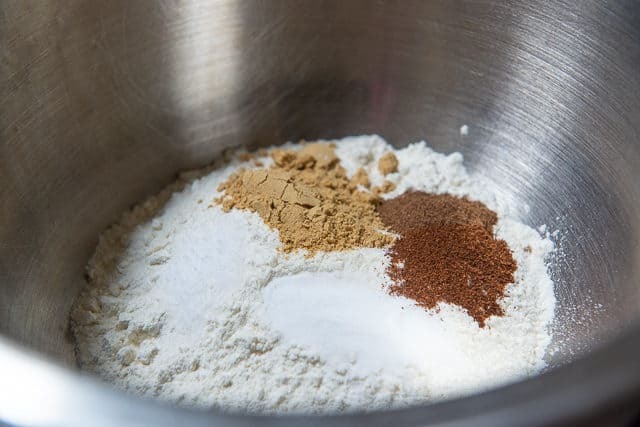 Add the dry ingredients, and mix until the flour just disappears. For a flatter, chewier cookie, bake the dough now, or for a less flat cookie, chill the dough in the fridge for 1 hour. 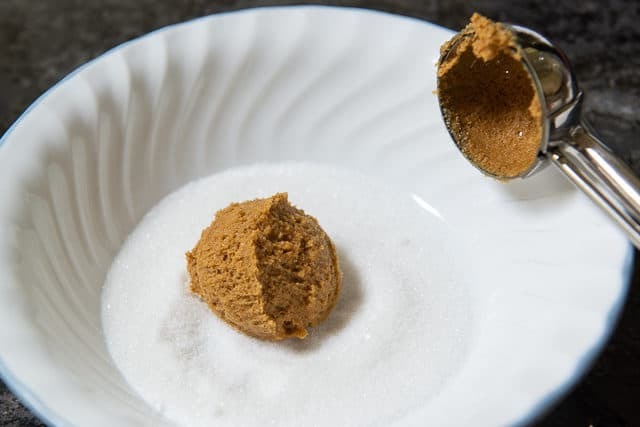 Add a few spoonfuls of sugar to a bowl, and use a small cookie scoop to drop the cookie dough straight into the sugar. 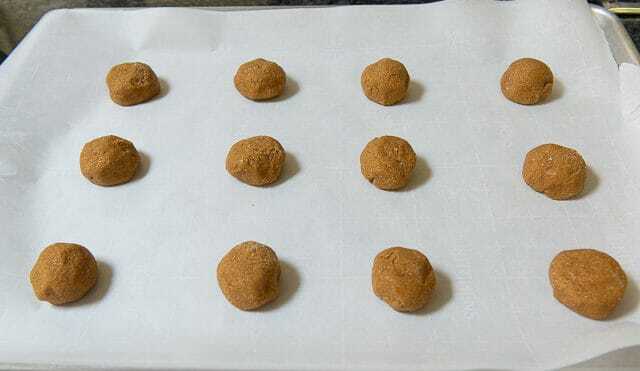 Roll with your hands into a ball, then place 12 balls onto the prepared baking sheet. Bake the cookies for 13-15 minutes, then allow to cool. Because of the egg white, the cookies will look very puffy when you pull them from the oven, but they will fall and crinkle as they cool. These cookies freeze well after being baked. 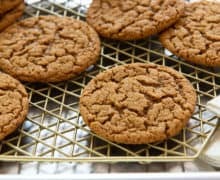 I also like baking Peanut Butter Cookies and Chocolate Crinkle Cookies with these for the holidays, as all three do well in cookie exchanges. Joanne- can this be doubled? Hi Sharon, I don’t expect any drawbacks in doubling the recipe. Enjoy! OMG these were so good. Perfectly spicy, and crazy chewy.